In a little town in upstate New York, there is a Hall of Fame to which all of our players aspire. It’s the National Baseball Hall of Fame, where families can see tributes to Babe Ruth, Hank Aaron, Willie Mays, Sandy Koufax, and Randy Johnson, just to name a few. Cooperstown is also the home of Cooperstown Dreams Park, where every summer 12U teams can compete at a national level against teams from all around the country. Each year, thousands of teams apply to visit Cooperstown and compete in this tournament, but only a few are selected. CHPBA is fortunate enough to have been gifted with a grandfather certificate, which permits our league to send a team to Cooperstown every year, and be guaranteed a spot. 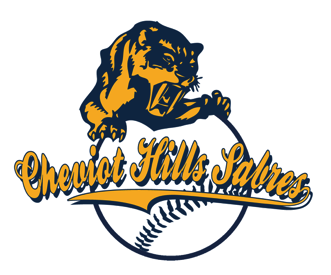 That team is called the Cheviot Hills Sabres, and is selected at the same time that the 11U All Star team is selected. The team is selected one year in advance, so that the players can practice together for a year before they go, and to permit a year of fundraising to offset the cost of participating. For more information about the Cooperstown team selection process, click here or email . CHPBA is very proud to offer this once in a lifetime opportunity to its 12U Sabres team! And don’t forget, next year (or the year after) it could be you or someone you know going to New York! So when you see the Sabres around the park selling from the mobile snack shack, or just hanging out, wish them luck at Cooperstown and support our team!